What can be done to better support Kazakhstan’s teachers? Last October, during his State of the Nation address, then-President Nursultan Nazarbayev commissioned Kazakhstan’s government to develop a law on the status of teachers. At the same time, the first field studies of teacher motivation in Kazakhstan were taking place. Never before had anyone asked teachers in Kazakhstan how they felt about their profession — at least not on a national scale. But as is often the case in Kazakhstan, the situation changed with Nazarbayev’s mention of the status of the profession in his address. And so the public is finally turning its attention to what recent international studies call one of the least respected professions in the world. “Why did you become a teacher? What do you like or not like about being a teacher?” are some of the questions hundreds of future teachers along with young teachers under 34 were asked in Kazakhstan in a field study aimed at assessing teacher motivation conducted in 2018 by Beles Center for Strategy and Analysis. The answers respondents gave were not at all surprising. Teachers proved to be altruistic souls, choosing the job for the love of children; however, this may not be always enough to keep an individual in the classroom. Research shows that teachers in Kazakhstan are underpaid, overburdened, and undervalued. There is a good chance that a large share of those planning to become teachers will leave the profession (or never even start teaching) over the next five years. What is to be done? First, improve the money. Salaries for teachers are too low to be attractive — it’s as simple as that. Sixty percent of both practicing teachers and teachers-to-be in Kazakhstan think they are not paid enough. This problem is not unique to Kazakhstan and Central Asia. Recent reports by the Varkey Foundation on the status of teachers in 35 countries, including the United States, show that worldwide, teachers’ starting wages are “significantly lower than what people perceive as a fair wage.” Compared to their peers in other occupations, young teachers in Kazakhstan have one of the lowest starting salaries in the country (around $200-250 per month), around 40 percent lower than the national average starting salary. In fact, it is only higher than the starting salary of veterinary students. Then address the workload. Eighty-five percent of students in their final year before joining the profession see teaching as requiring high-level emotional commitment, while 86 percent say that teachers are overworked on a regular basis. This leads to early teacher burnout. Forty-five percent of young teachers report professional burnout caused by the intense workload and working conditions. Their love of children is often the only thing keeping them in the profession. Finally, remove the flawed incentives for young people to become teachers. For over one-fifth of future teachers in their final year of study, going into teaching was a “fallback choice.” The easiest way to get higher education and avoid paying tuition fees in Kazakhstan is to apply for a “pedagogical specialty,” since these are always among the programs with the lowest required scores on the entrance exam. Thus, if a school graduate was planning to study, say, nuclear physics, but failed to get a good enough score on the entrance exam, she might still be able to apply to become a physics teacher — and even get a state scholarship. Again, this tendency is not unique to Kazakhstan. In the United States, the Varkey Foundation notes, highly qualified graduates are also less likely to become teachers than their lower-achieving peers. In Azerbaijan and Kyrgyzstan, it is the lowest-performing students who enter teacher training institutions. Meanwhile, acknowledged leaders in education — countries like Finland, Singapore, and South Korea — only allow top-performing school graduates to enroll in teaching programs. That should become the guiding principle in Kazakhstan as well, paired with increased salaries and efforts to mitigate burnout-inducing workloads among teachers. “The higher the respect for teachers, the more likely a person is to encourage their child to enter the profession,” according to the Global Teacher Status report. Yet 66 percent of young teachers and 54 percent of graduates in Kazakhstan do not wish their children to become teachers, which speaks strongly to how the teaching community feels about their role in society. The issues mentioned above signal the low status of the teaching profession and, in turn, undermine it further. Ignoring these issues has the potential to undermine any well-intentioned strategy aimed at championing teachers and improving their status in society. 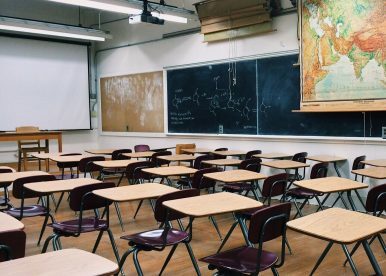 Raising teachers’ wages, reducing their workload, and improving the quality of students entering the teaching profession, meanwhile, could provide a solid bedrock for further developments. Nazarbayev’s directive to create a special law dedicated to teachers is undoubtedly an important initiative. However, addressing basic practical obstacles first will guarantee the law’s enforcement and signal the new government’s genuine commitment to giving teachers the respect they deserve. Better teachers mean better 21st century citizens. Teachers are the best investment in making the world a much better place. Aigerim Kopeyeva holds a Masters in Education Management from King’s College London. She is a visiting fellow at George Washington University’s Central Asia Program.